5 Deals You Need to Know Today: Bag One Year of ShopRunner for Free! Bag yourself a hassle-free 1-year membership to ShopRunner and save $79 while also availing of no-minimum free shipping from a long list of retailers. Check out this offer and more in our roundup of the top five Editors' Choice deals we found last night and this morning. Venus offers the Venus Women's Button Detail Bodycon Dress in Light Pink for $22.99. Coupon code "XWEB19SMS60" cuts the price to $19.54. With $7.95 for shipping, that's $29 off list and the lowest price we could find. It's available in sizes 6 to 16. Walmart offers the Little Tikes TotSports Easy Score Toy Basketball Set in Blue or Pink for $24.97. Opt for in-store pickup to dodge the $5.99 shipping fee. That's tied with our March mention and the lowest price we could find by $10. It includes one basketball and is height adjustable from 2.5- to 4-ft. tall. VIP Outlet via eBay offers the DeWalt 45-Piece Screwdriving Set for $12.09 with free shipping. That's tied with our mention from three weeks ago and the lowest price we could find by $6, outside of the deals below. It includes Phillips, square, slotted, and double-ended bits. A close price: Amazon and Home Depot offer it for $13.05 with free shipping for Prime members and in-store pickup respectively. Today only, Uniqlo offers the Uniqlo x Hana Tajima Women's Tuck Long-Sleeve Dress in Off-White or Black for $29.90 with free shipping. That's a savings of $15 and the lowest price we could find. It's available in sizes XS to L.
Today only, Kohl's offers the Croft & Barrow Men's Big & Tall True Comfort Knit Lounge Pants in several colors (Dark Newpoint Gray pictured) for $17.99. Coupon code "HURRY20" cuts it to $14.39. Choose in-store pickup to avoid the $8.95 shipping fee. That's $16 off list and the lowest price we could find. They're available in select big and tall sizes from L to 3XL. Swiffers, sponges, and disinfectant wipes are all convenient, but these tossable cleaning products can be bad for your wallet — and the environment. There's a reason disposable cleaning products like wipes and sponges are so popular — they make keeping your home fresh and shiny much easier. But they also often come with a higher price tag than that of their more laborious counterparts. Naturally everyone can decide to pay a premium for convenience, but it's still important to be aware of how much we're actually spending on that convenience. We looked at some popular cleaning products to illustrate just how much they'll cost over the course of a year, and some less expensive — and more sustainable — alternatives. We searched grocery stores, drugstores, and big box stores to determine a "standard price" that you're likely to pay, and estimated how much a typical consumer would use in a year. So, are these disposable cleaning products worth your money? If there's something in your home that you need to clean, there's a wipe for it. 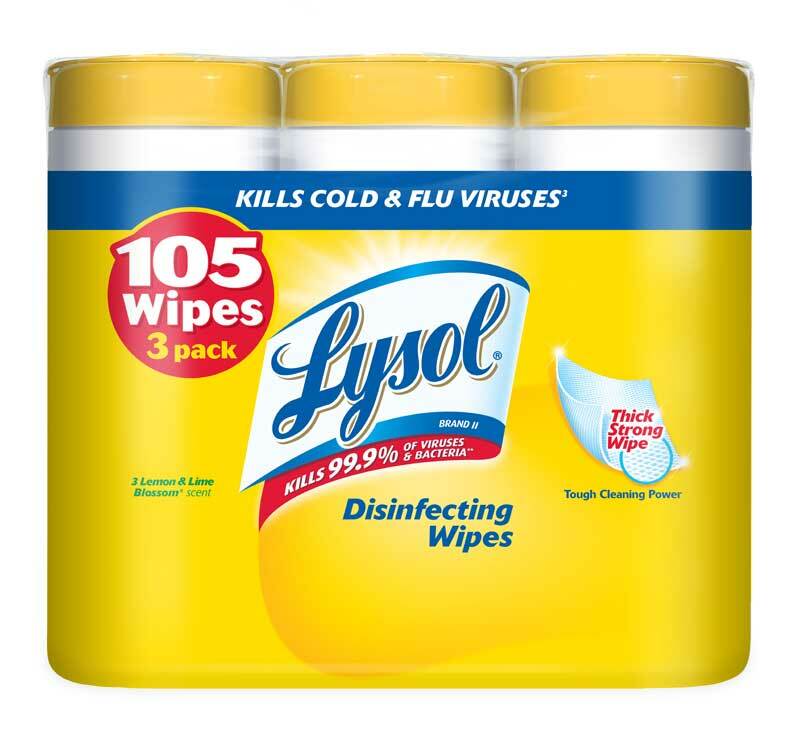 Aside from the ubiquitous disinfecting wipes that make cleaning the kitchen counters a breeze, there are wipes specially created for furniture, electronics, or glass. There's no denying their convenience, but that convenience comes with a cost. Use: Clean and disinfect household surfaces, including stainless steel, plastic, and wood with a quick swipe, then toss immediately. Annual Cost: If you use one canister each month, you'll spend $45.48 over the course of a year. Alternative: These DIY disinfecting wipes are a great way to repurpose old rags, and all you need is rubbing alcohol, household multitasker Dawn dish soap (seriously, check Pinterest, it does everything), and good old H20. Or, you could give up on the idea of wipes entirely and mix up a DIY all-purpose cleaner to spritz on surfaces and wipe them down with a washable microfiber cloth. Not only are sponges wasteful, they're actually kind of disgusting. Studies have shown that more than 75% of sponges or dish cloths contain coliform bacteria, the family of germs that includes Salmonella and E.coli. We love our scrubber sponges as much as you, but that statistic makes us shudder a bit. Use: Scrub stubborn dirt and grime from dishes, then toss when it gets too gross. 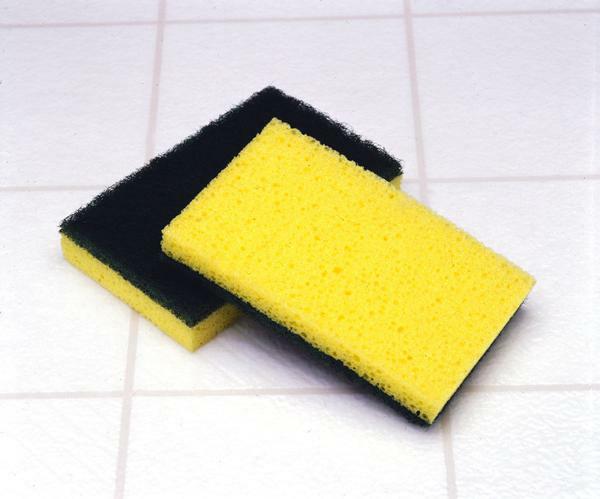 Annual Cost: It's recommended that you replace your sponge every two weeks (and sanitize it regularly), so you're looking at a yearly cost of about $25.75. Alternative: A high-quality dish brush will run you about $10, and it's more sanitary because it's easier to clean. All you have to do is just run it through the dishwasher or soak it in vinegar to keep it germ-free. We get it: Magic Erasers are magic. But they're also wasteful. You can typically use them more than once if you're doing small jobs, but you'll go through at least one for a big job. Either way, they aren't cheap. Use: "Erase" dirt, grime, and scuff marks from floors, walls, and doors, toss when they begin to break apart. Annual Cost: Assuming you'd go through a box every two months, you'd end up shelling out $41.94 for the year. Before Swiffer came along, we had brooms and mops. 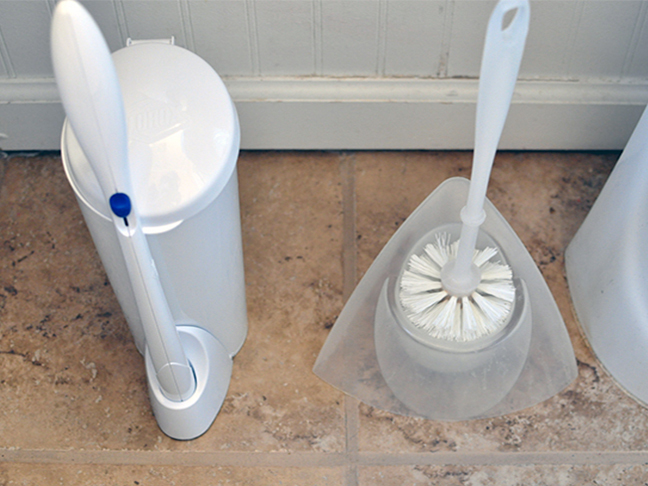 Those wet and dry pads changed the game, and now, most people wouldn't even think of keeping a mop bucket on hand. We may have shinier floors now that spot-cleaning is a breeze, but we likely have less money in our pockets, along with more waste. For cost purposes, we'll focus on the wet pads, and then give a wet/dry alternative option. 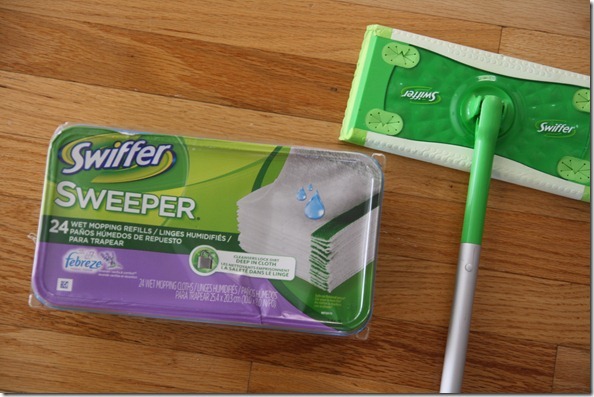 Use: Snap the pads into your Swiffer Sweeper, clean your floor, allow to dry, and then toss the cleaning pad. Annual Cost: Between all-over and spot cleans, you'd likely go through at least four pads a week, or $61.20 each year. Alternative: Microfiber cloths! You can use them dry for dust, and add a little water and your favorite floor cleaner to replace the wet ones. Not only will you get a much better clean, but you can also toss them in the washing machine when you're done. Cut them to the same size as a Swiffer pad and you can just snap them in the same way. 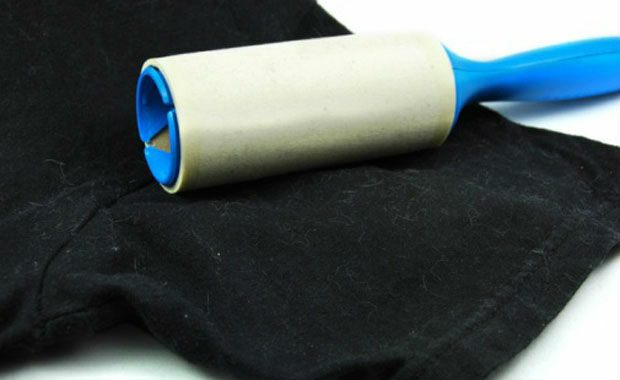 If you have pets, then you likely have a lint roller or 12 in your house. Good on furniture, pillows, and bedding, the adhesive sheets collect pet hair in a flash. If you have more than one pet (or a particularly hairy one), you could go through multiple sheets per day, which can add up over time. Use: Pick up lint, dust, and pet hair with the sticky sheets, then tear off and toss. Annual Cost: If you use two sheets per day, which is conservative for pet owners, you'll spend roughly $27.25 over the course of a year. Alternative: Rubber dish gloves. Seriously. Just put on a glove, run your palm over the fabric you want to clean, and ta da! No more dust or hair. Who wants to clean a toilet? No one. That's why disposable toilet brushes are so popular. Just clean and toss. No brush to clean. No mess. It takes about one minute to clean one toilet. Easy peasy. But it's neither a sustainable choice nor a cheap one. Use: Snap handle into cleaning head, scrub toilet bowl, then toss cleaning head. Annual cost: If you use two cleaning heads per week, you'll spend about $44.10 over a 12-month period. Alternative: The good old-fashioned toilet bowl brush. Just get an attractive cover for it and clean it regularly. Real Simple's method for toilet brush cleaning is easy. The annual costs for these disposable cleaning products may not seem significant, but if you used every item on this list, you'd be spending almost $250 each year. And we didn't even add paper towels into that figure. What about you, readers? What alternatives to disposable cleaning products do you use? What couldn't you give up? Let us know in the comments below. 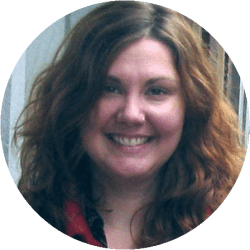 Jessica Hulett is a freelance writer, editor and obsessive seeker of online promo codes. She's been writing professionally for more than 15 years, and was most recently the managing editor of coupon and lifestyle site extrasforme.com. Thank you for catching this. However, I think the error was a typo, not a matter of calculation. The sentence should have read, "over a 12-month period," not "over a 2-month period." It has been corrected. I did want to point out an error in the calculations for the cost of toilet wands. There are roughly 8 weeks in 2 months. If you use 2 every week, you will use up about 16 pads in 2 months, less than one pack. You are assuming that one 20-pack costs $8.48, so 16 pads would come out to $6.78. This means that the real cost of using the toilet wand comes out to roughly $6.78 every 2 months, not $44.10 as claimed in the article. I loved this article so much that I created an account to thank you! I recently moved to South FL, the whole house has tiles; I was looking for an alternate to sweeper cleaning pads. Thanks! Ditto with dlcarrier. I now have a jazillion generic magic erasers. I like them for cleaning walls with grubby handprints or other things I don't want to spend forever scrubbing the day away. When ordering them on eBay, pay attention to the size, though. You can also buy melamine sponges (i.e. off brand magic erasers) in a 100 pack for $5, from many sellers on eBay.